It has been raining all the time in Vancouver recently. I went for a walk when I saw a patch of blue sky and found this thisle. The thistle is the Scottish national flower. 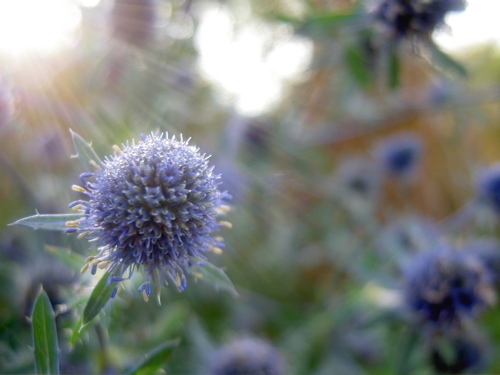 This thistle is called “Ruri-tama azami (ruri=azure, tama=ball, azami=thistle)” in Japanese and “Globe Thistle” in English.